This time it is 6th August. Last year it was 31st July. I am really getting nostalgic when I looked at the students buying the inventory, trying to understand the the products well. One of the most awaited day in our college, the day when Mahamandi is organized. 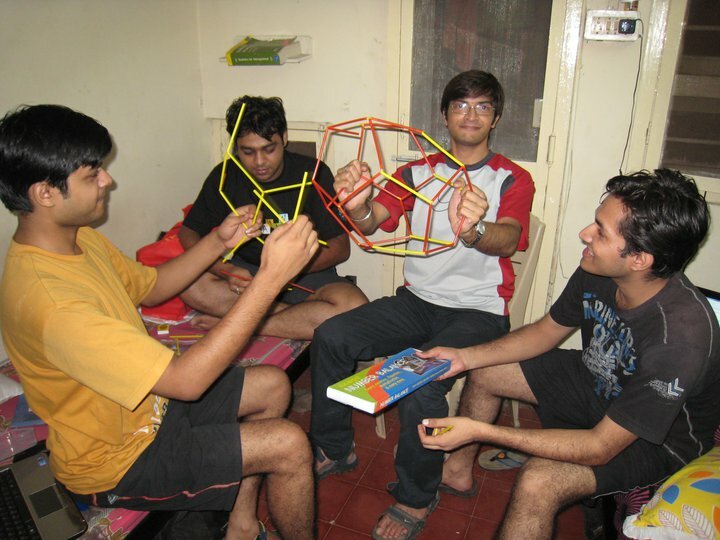 In this event, we, the students of NITIE generally freshers, are thrown into the streets of Mumbai to sell the educational toys made by NGO called Navnirmiti and in turn, we get some real experience about the consumer behavior. We purchased our inventory on 30th July. We spend considerable time in making the different models and in understanding the products well and planned our strategy for next day. I thought, unless, I am convinced about the product, how can I convince my customers. It was the important part to realize and appreciate the products. After practicing for around 2 hour, we were confident about how to project our product to our customers. There was one of the script circulated in the college about how to deal with your customer, how to greet them, how to give your introduction and how to face rejections. As it was general, we just had a look on it before sleeping. Next day, We went early around 8 in the lawns of NITIE where the inaugural ceremony was planned. When we reached, it was almost empty. No student was there except those few who were involved in decorating stage and organizing. We begun our photography. It was raining heavily and the idea to sell the products in such a weather was bit scary. Function started at 10am. Last year that is in 2009, the event was graced by the Ms.Preeti Jhangiani “the cute girl in the song chui mui sit um lagti ho.” Keeping the tradition, this year in 2011, it is Aditi gowatrikar.At our times in 2010, it was Rajit Kapur who is popularly known as Byomkesh Bakshi in India and Amol Majumdar. NITIE lawns were looking excellent that day filled with students wearing the Black Mandi T-shirt and carrying their red inventory bag. Many of the other B-schools also participated in this event.After the ceremony, there were speeches by our professors. At around 11am, we decided to leave the function in between and set off for our 1st location i.e. Andheri. We were a group of 10 peoples. At one of the red lights after contemplating a lot whether it was the right place to approach the customer or not, I eyed my first promising customer, a lady sitting in an auto with her child. As soon as I started talking to her, light turned to green. After we reached at Andheri, we tried our hands at various places at shops, at markets, at bus stations. I felt a common problem everywhere. People at shop who had nothing to do loved listening to us but didn’t purchased anything. Similar was the case when we are negotiating with the people standing in the queue at bus station. I remember it was raining heavily and water got into our bag and our manuals fro the product got wet. We purchased another umbrella and take a rest to plan our strategy. When I called the other people, they had already left for Bandra after finding this place not worth. Me and my partner then asked the local people if there was any school nearby. This was a place where we got our first customer, man bringing back his child from the school. When I was sure he was convinced, I begun showing him the other products. Though later, I came to know that this strategy is called cross selling, pushing more products to your existing customers. He purchased 2 products. This strengthened our ‘not so diminished’ confidence. After spending some more time and trying our hands on more people, we decided to move on. We reached at Lokhandwala market after that and here after having quick lunch at Macdonalds, we again begun our job. I remember one of the incident in this market. As it was raining heavily, we begun to wait in the shed to get refuge from the heavy rains. A very simple looking man came to us and asked about the products and about us. I tried to ignore him and murmured in my partner’s ears that he will not buy anything. I was somehow convinced from his appearance that he will not buy anything and just passes his time like ladies do most of the time. Shubham, not convinced fully told me that we can practice the art of selling and dialogues by explaining to him about the product. At the end, he was so impressed about the product that he purchased one. I was so shocked. It was a lesson to be learnt. I asked him about his family, kids and where he worked. He told me he had a Cigarette shop somewhere near Andheri. But he really wants to give his children good education and our products are well designed for that and known for bringing the creative part of the mind. This is the India of 21st century. One of the misconception as that we generally approached rich families whereas our most of the products are brought by the middle class Indians. 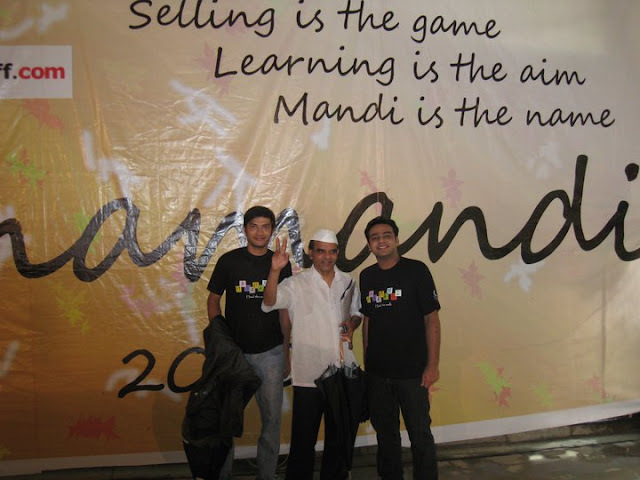 The last place, we went to sell our products was Bandra. Here it does not more than hour to sell the products. The one thing, we sold our products to most unexpected places. At one of the place, we sold the product to one old man. At around 7 pm, we were tired and sold almost all the products except 2 honey. The problem was that due to heavy rainfall, its outer body was damaged and the paper about the details became wet and torn. It was appearing quite local and unauthentic and as a result, it was becoming hard to convince the customers. We returned and reached near to our college at Saki Naka at 9. We decided to spend the rest of the evening in the Maharaja bar and restaurant where we ordered beer and discussed about our learning and the various other incident happened during the day. It was one of the most beautiful day of our life in Mumbai and I was sure we will never forgot this day. Besides learning and all, this day also gave us a chance to spend the time in the streets of Mumbai and came as a respite from the usual drudgery busy life at NITIE. This day is still very fresh in my memory and it seems to me that it just happened few days ago. 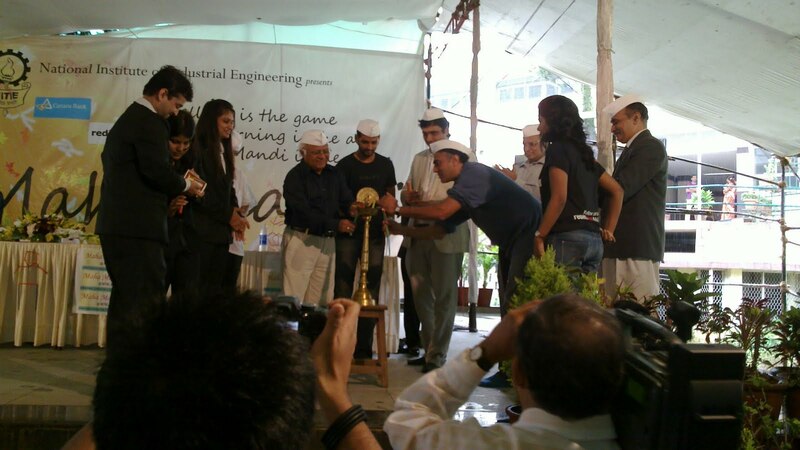 No doubt its one of the most cherished days at NITIE. the same smell of freedom is in the air..
Its like somebody re-winded the clock by a year and we are there yet again,at that very time and place only with a slight change in the roles we played last time..
Nice post yaar. I'd love to see some more pics - especially of your field experience. @Nitin- It is evident from your comment that you too are in full nostalgic mood. @Sarthak- I will surely add some more pictures soon. I am trying to arrange the pictures from batchmates. It was raining very hard and the idea to sell the products in such a weather was bit scary. -- should be raining heavily. is it direct translation -- bahut zor se baarish gir rahi thi..
Hmm.. .That was the direct translation of what you said. Dilse thank for correcting me. Please keep reading and commenting.